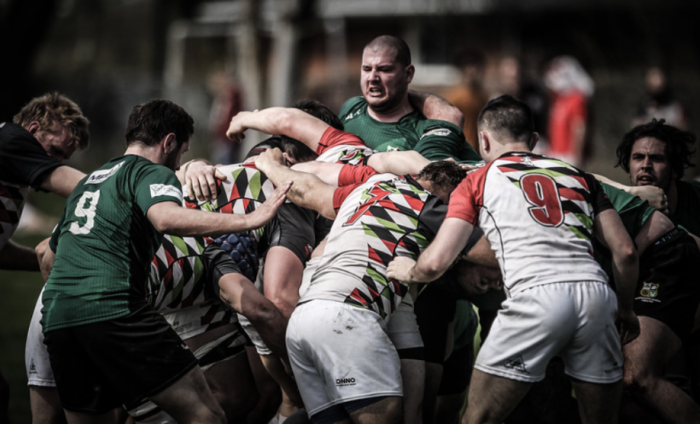 (MARKHAM, ON) – On Saturday September 29, 2018, Fletcher’s Fields will be host to Rugby Ontario’s McCormick Cup Day – the culminating event for Ontario’s senior men’s rugby competition. The Brantford Harlequins and Markham Irish will meet in this year’s Cup Final and it is bound to be an exciting contest. Also on the docket for this Saturday at Fletcher’s Fields are the Gee Gage Cup final round games, as well as McCormick Cup Consolation and Shield games. Fletcher’s Fields’ will also be running their Women’s Sevens competition. The Brantford Harlequins are coming off of a stellar season and have their eyes set on a third-straight title. They had a 9-1-0 record on the season, with their only loss coming versus Lindsay. Brantford secured a first-place McCormick Cup seed with a successful Ontario League Playoffs. After a week one bye in the Cup playoffs, they beat Stoney Creek and Balmy Beach to book their spot in the final. The Markham Irish played in the same division as Brantford and two of their three regular season losses came at the hands of the Harlequins. The Irish had a win and a loss in Ontario League Playoff competition to secure a third-place seed in the Cup playoffs. They then beat the Aurora Barbarians, Crusaders and Burlington Centaurs in the Cup playoffs to get to today’s Cup final. With these teams playing each other twice already, you know that this match will be a thriller. The rivalry between these two East Premiership clubs will definitely ignite at Fletcher’s Fields on Saturday September 29. The McCormick Cup Final will be at 3:00pm ET at Fletcher’s Fields Stadium Pitch (Field 1). Entry fee to Fletcher’s Fields is $10 per person at the gate. The Cup Final will also be streamed live at www.youtube.com/rugbyontarioTV. In other McCormick Cup competition, Balmy Beach and the Burlington Centaurs will play for the McCormick Cup Bronze Medal and the Toronto Scottish and Lindsay RFC will play for the Shield Final. The Peterborough Pagans and London St. George’s will play for the Consolation Final and Barrie plays Waterloo County in the McCormick Consolation Bronze Medal match. In Gee Gage Cup competition, Balmy Beach Academy takes on the Toronto Saracens in the Gee Gage Cup Fifth place match and the Hamilton Hornets play the Toronto Scottish in the Gee Gage Cup Final. Due to a default, the Gee Gage Cup Bronze Medal game will not be played. Fletcher’s North (Aurora/Markham) has been awarded the Gee Gage Cup Bronze Medal as a result.